Christchurch City Council has agreed to support in principle a Housing First pilot programme aimed at ending chronic homelessness in Christchurch by 2020. The programme is based on a model developed overseas and recently launched in Auckland. 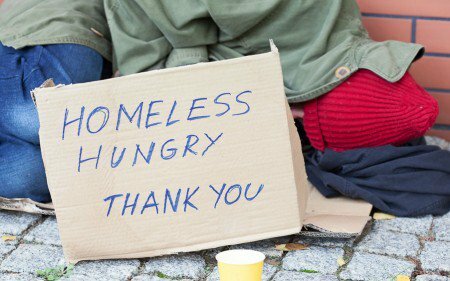 It involves moving homeless people into appropriate housing as quickly as possible and then immediately providing wrap-around services to support them. The Housing First model is progressing well in Auckland and the Government has put aside funding to expand it into other areas of high need across the country, including Christchurch. It was estimated in early September 2017 that at least 170 men and 20 women in Christchurch were without homes and sleeping rough. For some months the Christchurch Methodist Mission, Emerge Aotearoa, Comcare and the Otautahi Community Housing Trust have been in discussions with the Ministry of Social Development about rolling out Housing First in Christchurch. The Council agreed to commit its support to the programme today. It will assist the Christchurch Housing First Partnership to develop the programme and offer to chair a ‘Champions Group’. The Champions Group will help guide the programme in Christchurch. It will be made up of representatives from a range of organisations including the Police, the Department of Corrections, the Canterbury District Health Board and Ngai Tahu, as well as people with lived experience of homelessness. Chair of the Council’s Social, Community Development and Housing Committee Councillor Phil Clearwater, says the Housing First programme provides a means to address the ongoing and seemingly intractable problem of chronic homelessness in Christchurch. It is about much more than just providing housing. “This programme recognises it is easier for people to address issues such as mental health and substance use once they have a permanent home. “What sets it apart from other efforts to address homelessness is the practical day-to-day support the homeless will get to live in, and maintain, their home. That support will come from both specialist agencies and peer workers who understand what it means to be homeless,’’ Councillor Clearwater says. “We aim to support up to 100 people over the next two years who are chronically homeless and have complex needs that mean they cannot be supported by other existing housing or support services through the Christchurch Housing First Partnership." Councillor Glenn Livingstone chairs the Council’s Housing Subcommittee, and says the Christchurch Housing First programme recognises that homelessness is a complex issue that no single organisation can fix alone. “It requires a collective approach. Helping the people who have been homeless for more than a year or who have had at least four episodes of homelessness in the last three years will be the top priority for the Christchurch Housing First programme, but they'll look to provide assistance to any homeless person in need," he says.